Choose Your Spoken Words Carefully! Estate planning attorneys know, from years of training, that the precise words you place on the written page make all the difference. 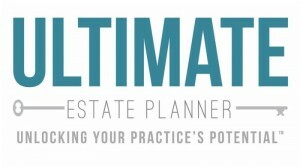 Yet, few estate planning attorneys know that the exact words you speak when in front of a prospective client can make all the difference in engaging more of them - - because you’ve never been offered training on this skill. Until now. 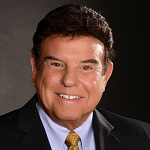 Join us and Tom Hopkins, “America’s #1 Sales Trainer”, for the first of his 2-part series on the topic, “How to Speak So Potential Clients Listen & Respond”. NOTE: This is the first presentation of a unique 2-part series entitled, “How to Get More People to Buy from You”. You can take advantage of a discount by signing up for the series. Think about it…if you were to pick up just one more client from what you learn, these two 90-minute presentation will be well worth your investment. Frankly, if you’re not already closing every single potential client that you meet with, you can’t afford NOT to attend this series! Includes: Printed Handout Materials plus CD-ROM with PDF copy of handouts and audio recording. You can take advantage of a discount by signing up for the series!, click here to purchase.